Come have the DTSC staff work with your team to prepare for a specific event, get ready for the upcoming season, or work with any needs of the team. In a team setting we can train them in a controlled environment where success and work rate can be maintained thru ought the training session. The Deft Touch soccer training staff is well qualified and high level club, high school and college experience to train each player for guaranteed team results. All of our trainers are seasoned professionals and will challenge them to meet your goals no matter the teams’ level of play. 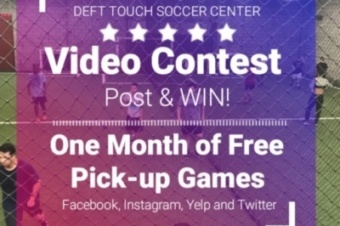 Contact Deft Touch Soccer Center today to improve your game.